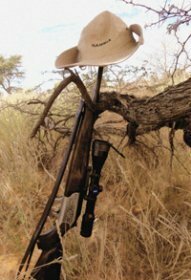 We've made a list of some of the gear you may need on your African hunting trip. may be some of the things you'll need. You don't need to bring big cameras if you only come for a hunting safari. The smaller but good quality cameras, are much more convenient to use in the veldt. Our PH has a good rangefinder. Since you as the hunter will have your rifle to handle and the PH accompanying you all the time on your hunts, you don't need to spend the extra money on a rangefinder. You will definately need ankle gaiters during your hunt. If you can't get it, we'll get you a pair here in Namibia. 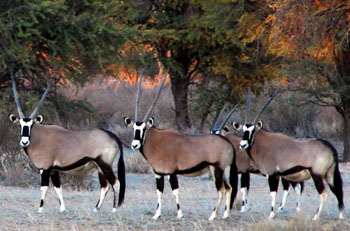 We also created a detailed Namibia Hunting packlist to assist you in your final preparations for your Namibia Safari. Feel free to use also your discretion when going through this list. We hope that the list below proof to be very useful to you!